In automotive filter production, faultless workmanship is essential for the proper functioning of the filter. In addition, the specified height of the filter is also critical in order to prevent any damage occurring to the periphery of the filter during assembly. 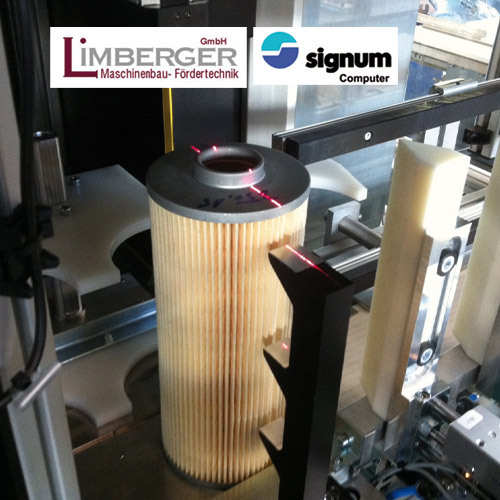 In cooperation with special purpose machine builder Limberger GmbH and the Signum image processing specialists, scanCONTROL laser profile scanners were integrated to a filter test machine.